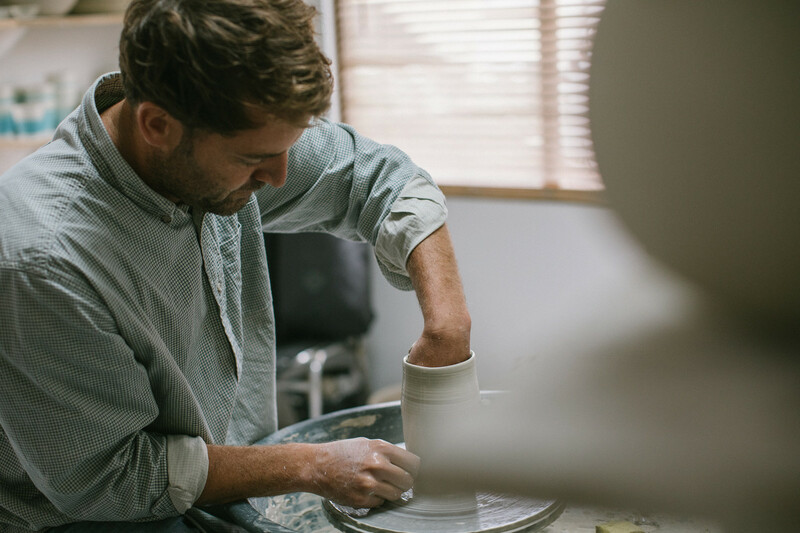 I’m Jake, a ceramics artist based in Porthleven, Cornwall. My work is shaped and inspired by the natural beauty of the place I live, as well as my interest in spiritual teachings of Eastern philosophy. My journey to ceramics began in the back garden, playing with clay as a child. I was encouraged by my artist parents to tinker, ponder and enjoy the process of making. Before I came to focus on clay, I gained a PhD at the University of Exeter and taught geography and science. Teaching took me to remote places, and allowed me to work with monks in a Tibetan Buddhist monastery in Kathmandu. All these experiences inspire my work I make today as I continue to explore issues of place, climate and spirituality through the medium of clay.